Ana Crane Studio is one of the most passionate Lexington makeup artists available for wedding services. Whether you would like Ana to focus her work on you or would like to have her do the makeup of your entire bridal party, she will make everyone feel comfortable and beautiful. You will be able to discuss colors and style with this expert to ensure great results. She will also help you achieve the look you have always wanted for the biggest day of your life at affordable prices. For the past few years, brides in Kentucky have been seeking the airbrush makeup services of Champayne Wilson to help them achieve the best look possible. Knowing that each bride, wedding and situation is unique, Champayne offers affordable rates that are decided upon per client. You will only ever pay for the services that you receive and the time of the artist. Reviews of this company rave about the expert’s flexibility as well as low rates for all of the services available. 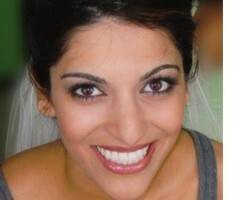 Andrea Lauren has been dedicated to creating beautiful bridal makeup and styling for many years. Investing in her services means that you will have an outgoing and friendly professional to help you relax and get ready on one of the best days of your life. She will accommodate for any style or look that you want while offering her expert guidance. You will always feel looked after and stress-free when you have Andrea do your makeup and the makeup of the bridal party too. Lacey Abigail is a professional makeup artist in Lexington, KY that has been making a name for herself in the area for her work with brides as well as in beauty and fashion too. This expert sees applying makeup as a form of art. She listens to her client’s wants and needs and then uses their face as a canvas for her work. When she has finished, you will love the final results and will also have a look that feels like permanent makeup and lasts through an entire day of celebrating and pictures.